The mainstay of a successful business is the direction provided by its leadership. Neologix Software Solutions has an experienced and enthusiastic group of leaders who drive the company towards achieving its business goals with passion and earnestness. They strive to align the company to consistently exceed the expectation of both the client and the architect and adapt to the fast moving and dynamic external environment. 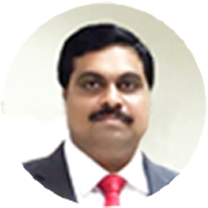 Anoop heads the Marketing and Sales Division of Neologix. A Computer engineering graduate, Anoop comes with over 14 years of experience in the industry. 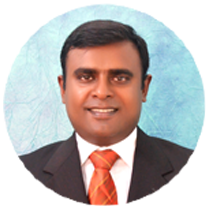 He is instrumental in the strategic planning and decision-making for the Company. Jenu leads the Technology division of Neologix and is a veteran with over 20 years of experience in the industry. 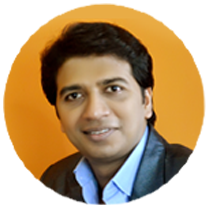 He started his career as a Software Engineer with MNCs and later joined hands with two partners to form Neologix. A solid pillar of the Company, Jenu brings with him passion and precision to the work processes. He is currently leading the Product Development wing of the Comapny as well. Shan is the Co-Founder of Neologix. With over 14 years of experience, he heads the business division of the Company. Shan holds an MBA degree in Finance from IIM Kozhikode and is a graduate in Computer Science and Engineering. He is a visionary and is the heart of the organisation. 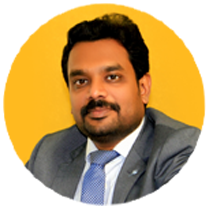 Shinoj is the Vice President - Business Development & Operations of Neologix. He is a Computer Engineer and holds an MBA degree in Information Technology. Shinoj has worked in 3 MNCs before joining hands with Neologix. He boasts of over 14 years of experience in the industry. Krishna Prasad, or, KP, is the Director of Projects. A computer engineer with over 14 years of experience, KP leads the technology division of the company. He is responsible for the roll-out of all projects of Neologix.